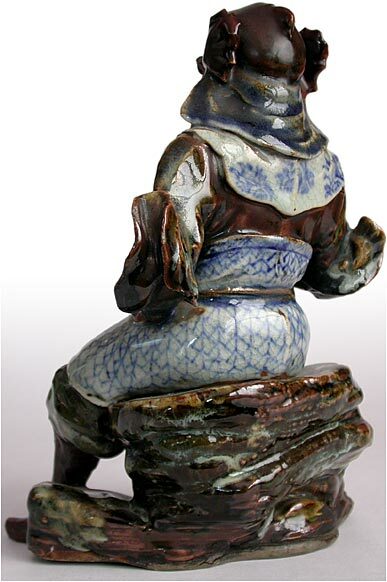 A hand-sculpted statue in parcel glazed sancai style, portraying the Dharmapala of the West Virupaksha, (Chinese: Heaven King Mo Li-hai) with a pagoda in hand. 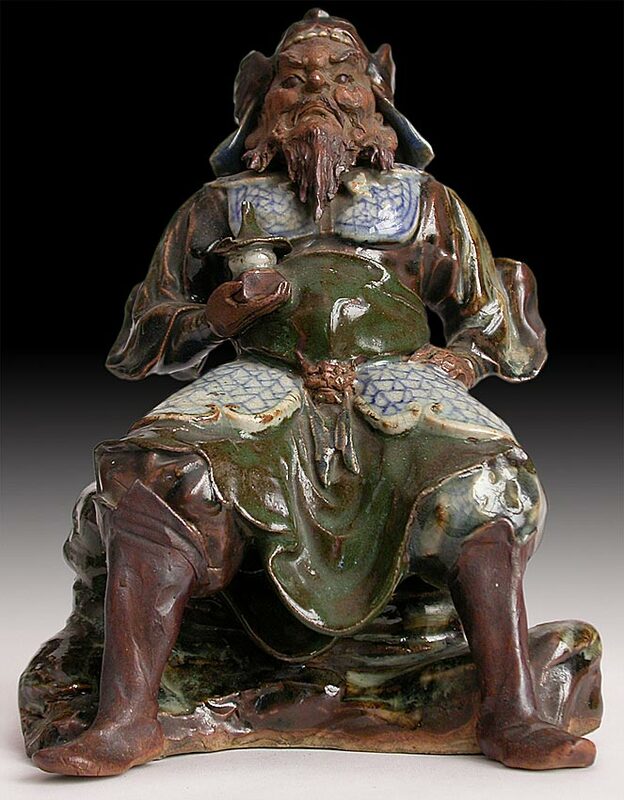 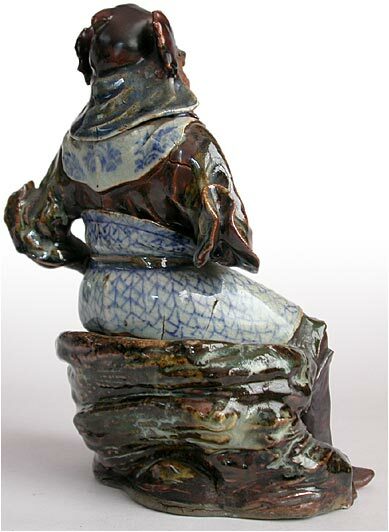 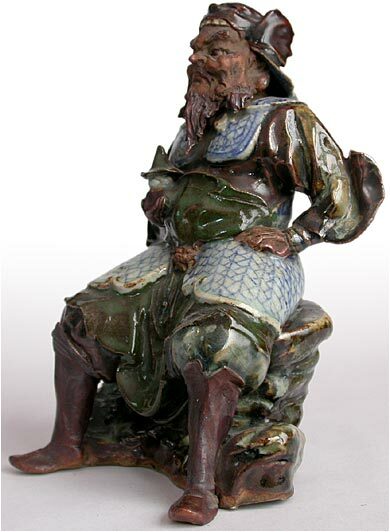 He is wearing a one-horned animal head helmet, an ornate Chinese blue armor with totie belt buckle, dressed in a rich green robe, upper garment in sancai colors of celadon, dark green and russet, seated on a rock of analogous splash colors. 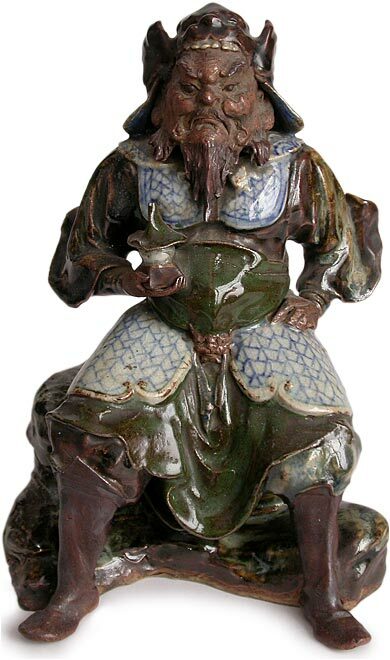 In contrast to the vibrant transparent glaze, a distinct realism appears in the unglazed skin tone of the audacious face and hands of the Dharmapala. 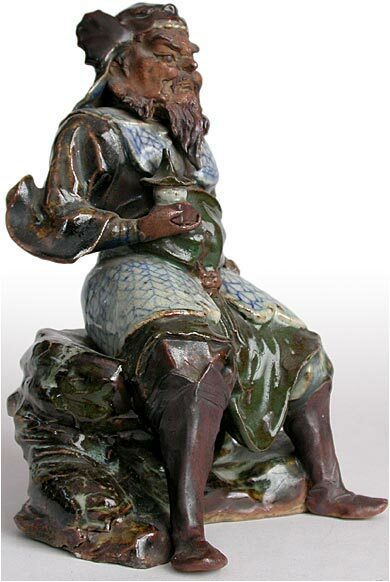 The statue is in very good condition.